Look for local shops for services and gear purchases to save. Support our gear sponsors who offer members savings and support our efforts. Zeropoint Compression is a sponsor and offers members/subscriber 30% off on purchases. Top of the line performance compression wear at the best value and price. Lookout Pass has several offers for those who Ride the Hiawatha this summer 2018. Save 50% off Ride the Hiawatha water bottles or key chains and $2 off Ride the Hiawatha T shirts. Welcome newest Supplier Sponsor Bern Helmets. Now save 20% on all direct purchases. Protect your brain with the best helmets and Stay Out There with Bern. 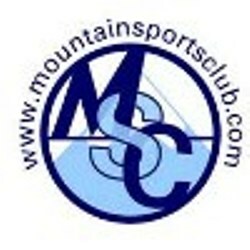 Use promotion code mountainsportsclub at checkout to redeem discount. Save on Bern Helmets with Mountain Sports Club. Bern Helmets newest sponsor, now save 20% on any Bern products when using MSC promotion code for winter, bikes and outdoors. Stay out there. Use promotion code mountainsportsclub at checkout.